This set is not yet on our site at www.crystalrealm.com, but you may contact Mandira directly to inquire about your own custom bridal set. 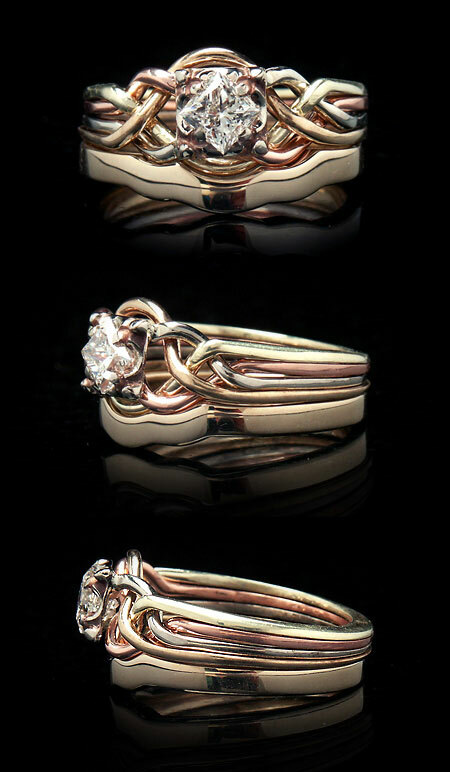 This set sparkles so much and is just so fun and lovely in four colors of 14K gold. 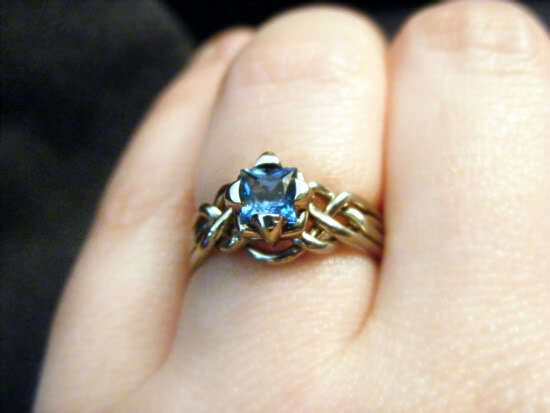 The puzzle ring is 14K rose, yellow, white, and green gold with a 14K white gold setting. The 2mm shadow band is made from an original, hand-carved wax that is made to go precisely with this very puzzle ring. Our shadow bands are all one off originals made to go with our original, hand-woven puzzle engagement rings. This set is now in Northern Alberta, Canada! 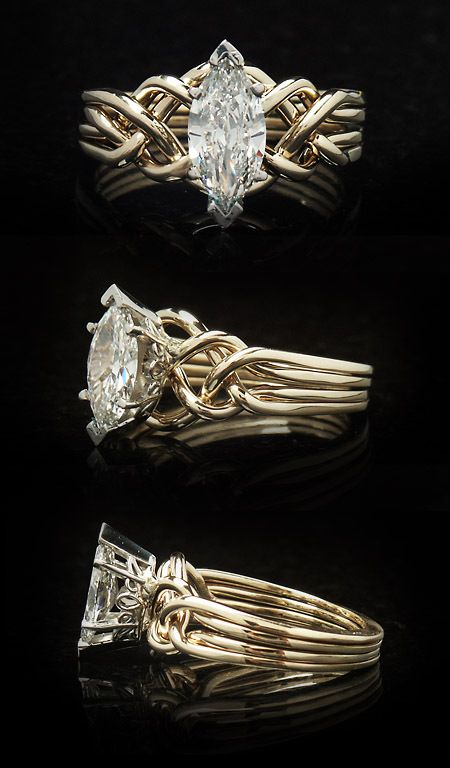 Guinevere puzzle engagement ring with 1/2CT diamond and four colors of 14K gold (yellow, white, rose, and green), and a custom 2mm shadow band from original hand-carved wax. See details here. We just sent this glorious set to the bride! 0.93CT marquise diamond puzzle ring – yes, it is a genuine, hand-woven 14K yellow gold puzzle ring – with a 14K yellow gold and diamond made-to-order claddagh shadow band.aol mail sign up I will be creating a photo story about Dan and Kelly and the development of this stunning set, but I just want to give you a glimpse of the rings now! If you would like to go straight to details about this set, please click here. 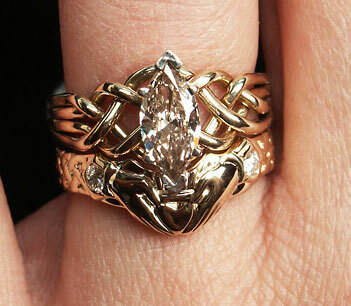 0.93CT marquise-diamond puzzle ring with diamond claddagh shadow band. See details here. Presenting the Avalon Swiss blue topaz puzzle engagement ring in palladium – also available in 14K rose, white, or yellow gold or platinum. 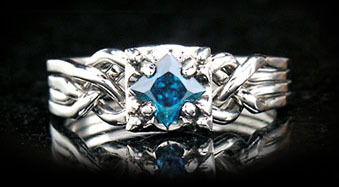 Click here or on the pictures to see this ring in our store. 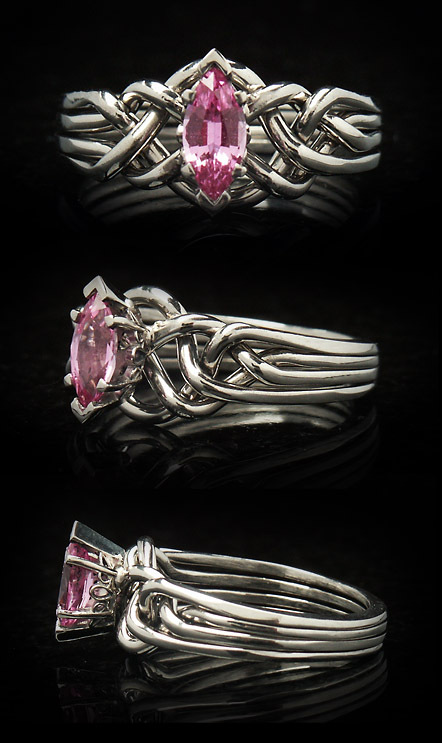 Yes, this Celtic puzzle engagement ring really does come apart and go back together – the infinitely looping knotwork representing the endless nature of your love. It is hand-woven for a uniquely one-off, original. 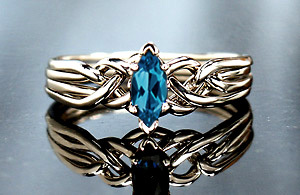 This ring is available also with diamond, emerald, sapphire, ruby, genuine or lab-created alexandrite, many colors of topaz, or almost any colored gemstone you desire. 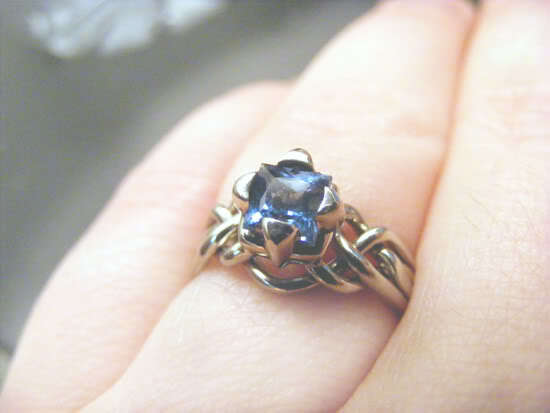 Contact Mandira @ 1-866-573-7381 to plan your ring. 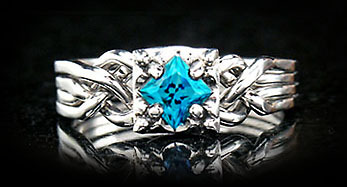 View many, though not all, of your gemstone choices here. Contact Mandira for other gemstone choices. 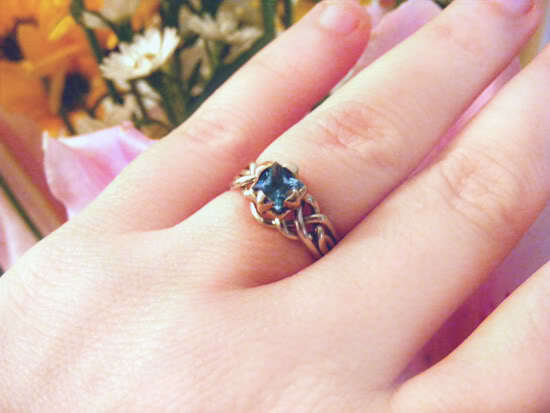 Emerald is one of only four (along with diamond, sapphire, and ruby) precious gemstones in the world, and its fresh, bright color is perfect with a Celtic knotwork puzzle engagement ring, here shown with a 2mm custom-fit shadow band. The symbolism of this set is profound: Emerald has long been seen as a gemstone of love, and here it is set on a true puzzle ring with endless knotwork representing the eternal nature of your love. Shown here with a 1/2CT emerald, this set is also available with a larger stone from 3/4CT up. 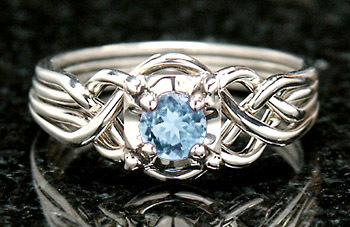 The weight of the set will vary a little with the size of the stone, for a true made-to-order bridal set. 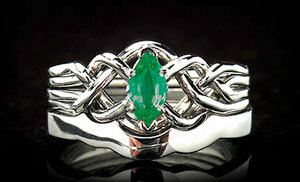 Emerald Bridal Set: Genuine marquise emerald puzzle engagement ring with custom-fit 2mm shadow band in palladium.